Do you have a conference or a special event coming up that you absolutely need to impress in? As we all know, there are times in promotion and advertising where you can't accept anything less than the best. For situations where you need to pull out all of the stops in order to get results, Project Design Print's premium roller banners are an example of one of the most useful options available to you. 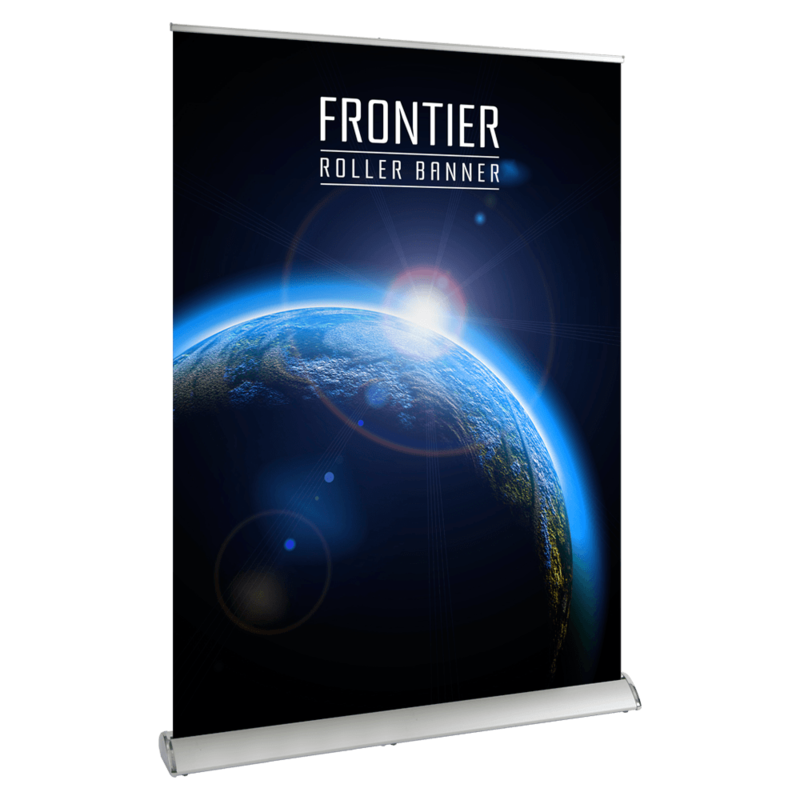 The breath-taking graphics make the frontier roller banner an instant attention-grabber when all is said and done. It's a durable print that comes with a base and a bag that can be used for additional storage. Best of all, the premium roller banner allows for numerous customisation options. Our premium roller banner is also referred to as the frontier roller banner and it comes in sizes that range from 850 mm to 2000 mm. Learn more about our frontier roller banner today.